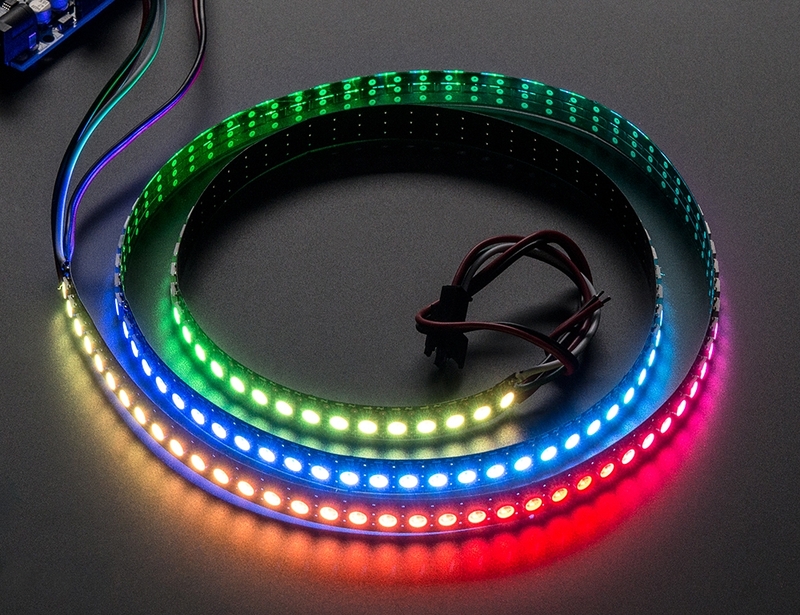 We crammed ALL THE NEOPIXELS into this strip! 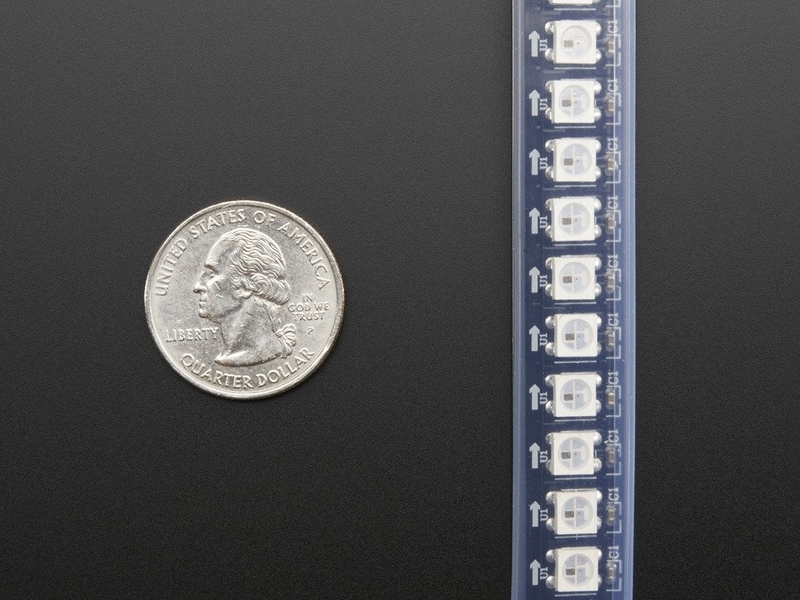 An unbelievable 144 individually-controllable LED pixels on a flexible PCB. It's completely out of control and ready for you to blink. This strip has a white mask, and an extra heavy flex PCB. Third, just because you have all those pixels doesn't mean you have the RAM for it - the entire strip must be buffered in memory, and we've found many Arduino UNO projects only have about 500bytes of RAM available after all the extras are included - enough for about 1 meter of the 144 LED pixels. If you want to drive multiple meters and have some other libraries included, use a Mega. This strip does not come with a waterproof sheathing, we're working on it but as it's a custom sized strip, the sheathing is custom too. We have no ETA as to when we will have the waterproof version, for now we only have this version available! The strip is made of flexible PCB material, you can cut this stuff pretty easily with wire cutters, there are cut-lines every LED. Solder to the 0.1" copper pads and you're good to go. 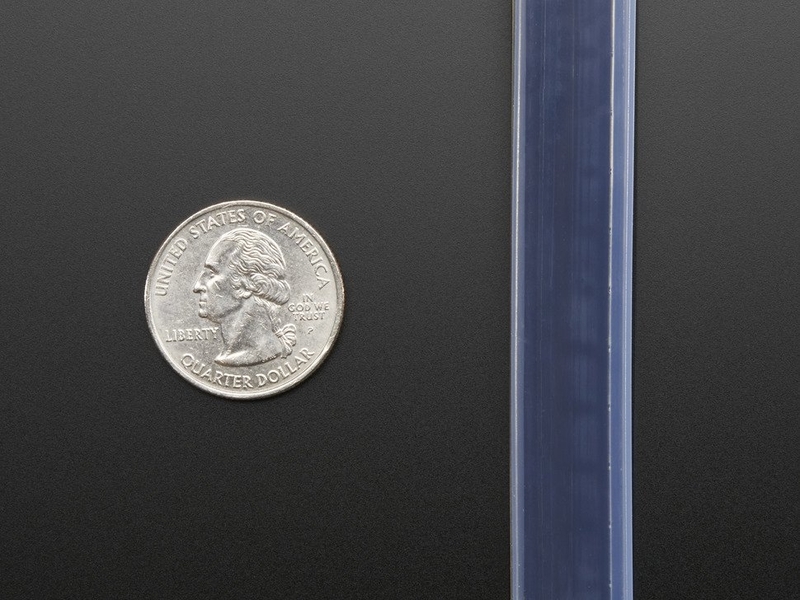 Of course, you can also connect strips together to make them longer, just watch how much current you need! We have a 5V/4A supply that should be able to drive 1 meter (depending on use) and a 5V/10A supply that can drive up to 2 meters (depending on use) You must use a 5V DC power supply to power these strips, do not use higher than 6V or you can destroy the entire strip. They come in 1 meter strips with a 3-pin JST SM connector on each end and separated power/ground wires. These strips are sold by the meter! There is a join in the middle of the strip and the LEDs are not perfectly spaced at that point - it's just a tradeoff with the ability of the flex PCB maker and density. To wire up these strips we suggest picking up a 2.1mm DC jack to wire in so you can connect one of our wall adapters to power it. You can connect to the input side with any sort of wire. We don't stock the matching 3-pin JST connector! At this time, we do not have a detailed usage tutorial or datasheet (still working on it!) However we do have ready-to-go library code for both the Arduino UNO/Duemilanove/Diecimila and Mega/ADK (all versions). Dimensions: 1000mm / 39.37" x 12mm / 0.47"
Power Lead: 196.85mm / 7.75"
Connect Lead: 92.07mm / 3.62"